Sun, Nov 2 2014 - LAS VEGAS – Chevrolet revealed the 2015 Camaro Commemorative Edition at the SEMA Show today. The special edition celebrates the success of the fifth-generation Camaro – which is on track to be America’s best-selling performance car for five consecutive years – and marks the final year for the fifth generation. The special edition goes on sale this spring. More than 400,000 fifth-generation Camaros have been sold since April 2009. Since then, Camaro has been America’s best-selling performance car for four consecutive years. Camaro sales for the first 10 months of 2014 are up 8 percent over the same period a year ago, and Camaro currently leads Mustang by 10,000 sales – putting Camaro on track to be America’s favorite performance car for a fifth consecutive year. The 2015 Camaro Commemorative Special Edition is available on 2LT and 2SS coupes and convertibles and includes the RS package. 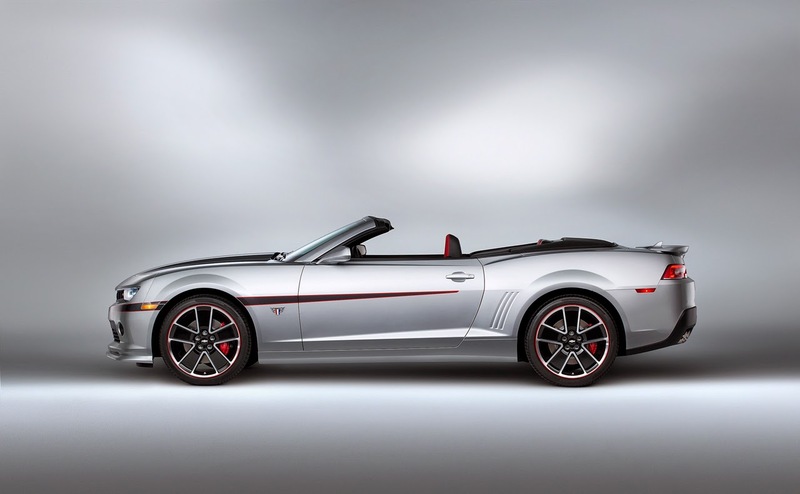 The exterior features of the Commemorative Edition include unique 20-inch wheels; exclusive stripe; body-color front splitter; ZL1 rear spoiler; and Commemorative Edition fender emblems. 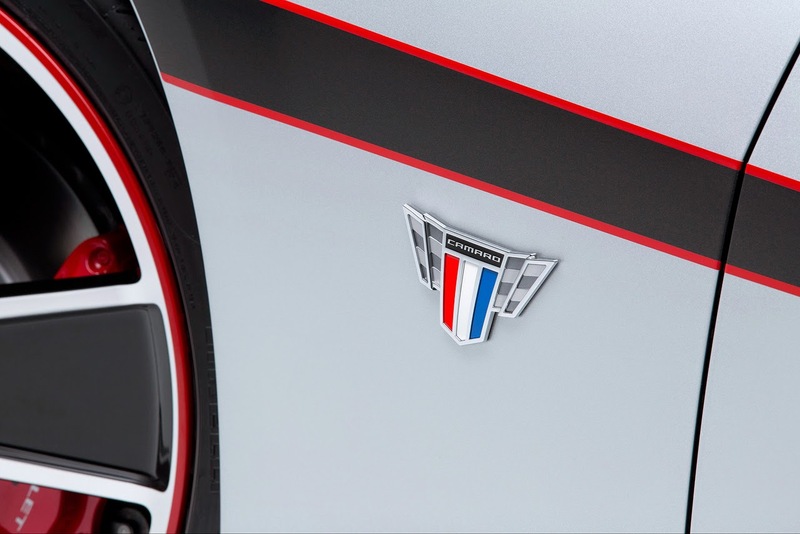 Five exterior color combinations are available: Black with Cyber Gray stripe, Silver Ice Metallic with Cyber Gray stripe, Summit White with silver stripe, Ashen Gray Metallic with silver stripe and Red Hot with black stripe. SS models receive a body-color hood insert. 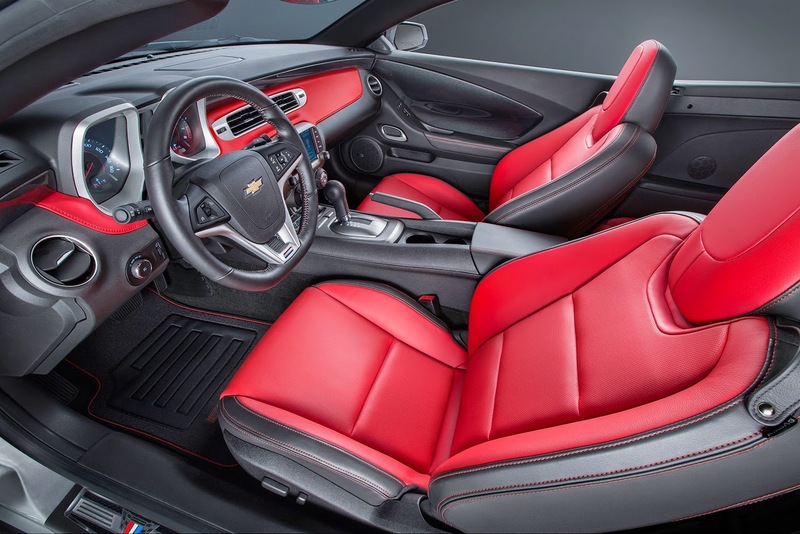 The new Adrenaline Red interior, only offered on the Commemorative Edition, features adrenaline red and black leather seating surfaces, adrenaline red instrument panel insert and red stitching on the seats, steering wheel, shift knob, shift boot, door trim armrest and center console lid. Additional details exclusive to the Commemorative Edition include a leather-wrapped, flat-bottom steering wheel and Commemorative Edition sill plates. Camaro Hot Wheels Edition (2013). The 323-horsepower V-6-powered LS coupe and LT coupe and convertible – including the 2LS with an EPA-rated 30 mpg on the highway – which match performance with efficiency. The SS coupe and convertible come with Chevy’s legendary small-block V-8, featuring a 6.2L engine delivering up to 426 horsepower and 0-60 acceleration 4.7 seconds. The road-racing-inspired Camaro 1LE performance package for SS coupe (manual transmission only), with unique gearing, suspension tuning and tires that make it capable of more than 1 g of lateral acceleration. The Camaro ZL1 (coupe and convertible), which is at home on the race track, the drag strip or daily commuting. It features a supercharged 6.2L V-8 with 580 horsepower and 556 lb-ft of torque – making the ZL1 the most powerful Camaro ever from Chevrolet. It is also the most technologically advanced, with standard Magnetic Ride Control and, on coupe models, Performance Traction Management. The Camaro Z/28 – the most track-capable Camaro ever. It features exterior elements designed like a race car to produce downforce that presses the car against the track for greater grip – up to 1.08 g in cornering acceleration – and faster lap times. Motor Trend named it their Best Driver’s Car for 2014. Chevrolet has also offered the COPO Camaro since 2012, a hand-built race car designed exclusively for drag racing. It’s the first purpose-built Camaro race car from Chevy and the quickest Camaro ever from the factory. Only 69 were built in 2012, 2013 and 2014, with 69 planned for 2015. Join the social conversation at #CHEVYSEMA.